Carshalton Ponds 2. 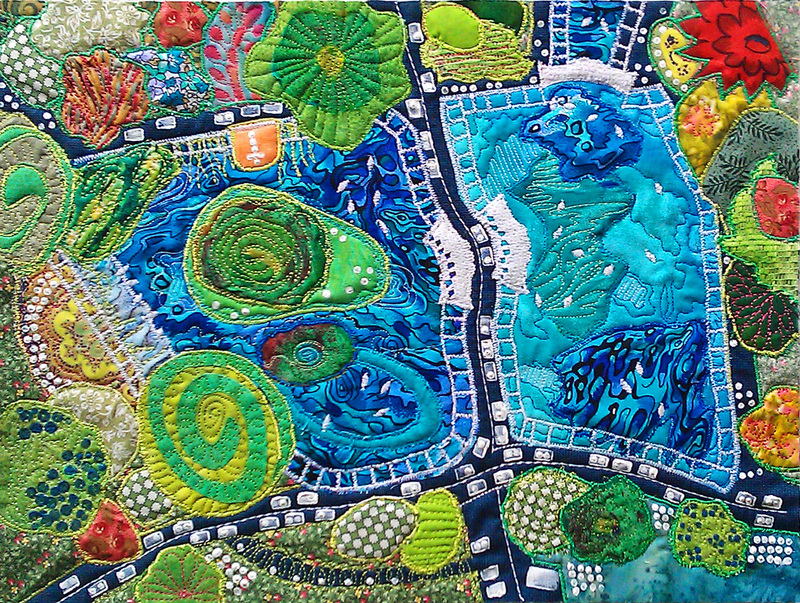 Applique, free machine quilting, machine embroidery and acrylic paint. Approx 12"x14"
Carshalton Ponds 1. 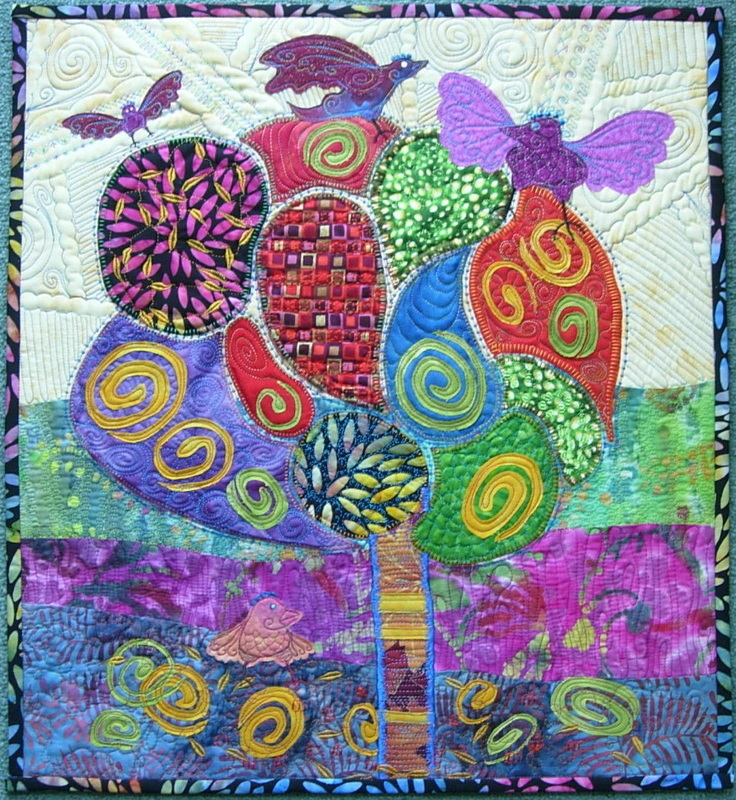 Applique, free machine quilting, machine embroidery and acrylic paint. Approx 12"x14"
Spirals. 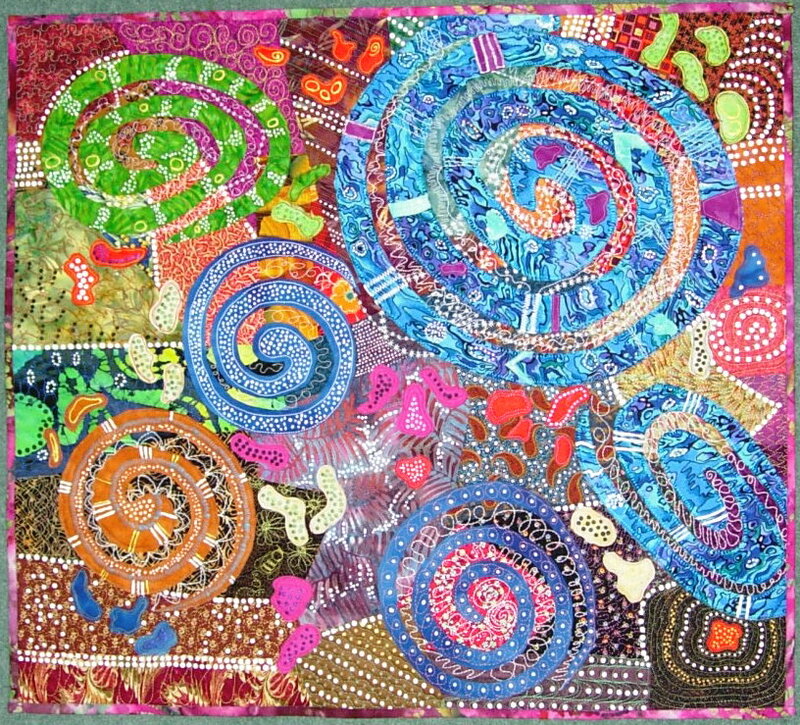 Patchwork, applique, free machine quilting, machine embroidery and acrylic paint. Approx 24"x18"
Whimsical. 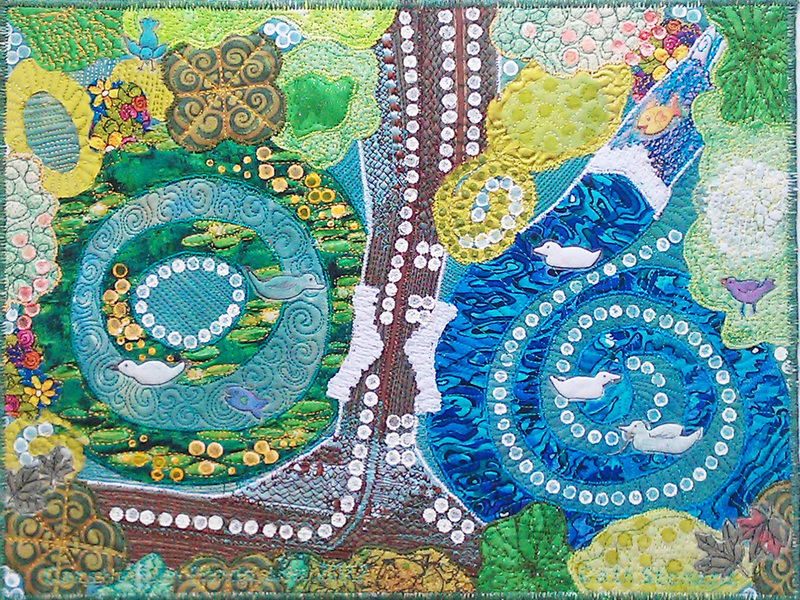 Applique, free machine quilting, machine embroidery. Approx 15"x 18"